Every maker has a story. Be a part of Heritage Art & Glass's story by placing an order, leaving a review, and seeing your review appear here. An organic abstraction of movement and waves in nature is revealed within this textural panel glass. 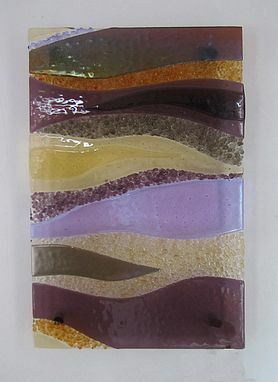 All the color in this piece comes from cut colored glass that is then fired the glass kiln. 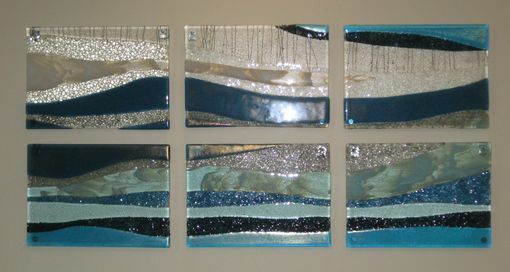 Client can choose number of panels from one to ?, size of panels and color scheme for the completed glass art. 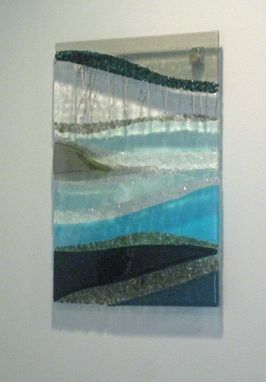 Each panel is hung using a stand off devise that brings the piece(s) away from the wall for transparency and depth.